With a new preface, Henry Louis Gates, Jr. discusses African-American immigration and ancestry in the context of the American political climate. Unlike most white Americans who can search their ancestral records, identifying who among their forebears was the first to step foot on this country’s shores, most African Americans encounter a series of daunting obstacles when trying to trace their family’s past. Slavery brutally negated identity, denying black men and women even their names. But from that legacy of slavery have sprung generations who’ve struggled, thrived, and lived extraordinary lives. For too long, African Americans’ family trees have been barren of branches, but advanced genetic testing techniques, combined with archival research, have begun to fill in the gaps. Here, scholar Henry Louis Gates, Jr., backed by an elite team of geneticists and researchers, takes nineteen extraordinary African Americans on a once unimaginable journey, tracing family sagas through U.S. history and back to Africa. 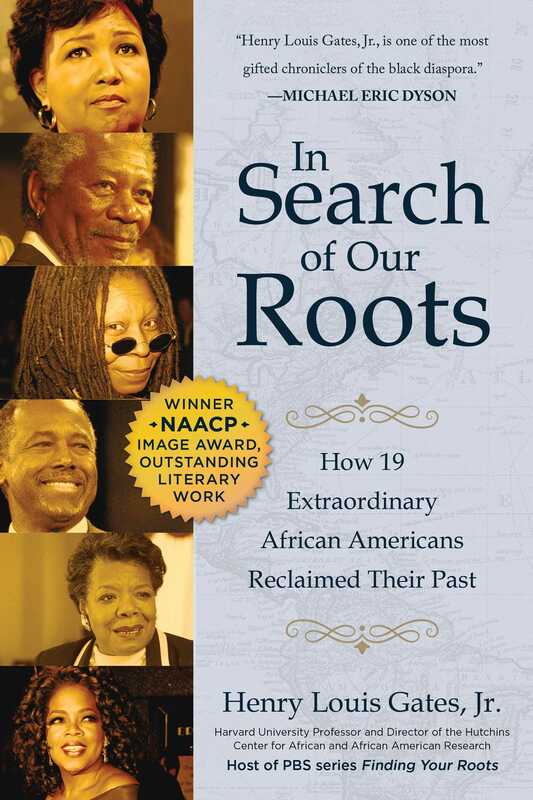 More than a work of history, In Search of Our Roots is an important book that, for the first time, brings to light the lives of ordinary men and women who, by courageous example, blazed a path for their famous descendants. In accompanying the nineteen contemporary achievers on their journey into the past and meeting their remarkable forebears, we come to know ourselves.